Load regulation typically 0.2% tach, 2% Arm Volts. Speed setpoint from external 10K Ohms pot. These is a pot kit including graduated dial and knob. 1 to 20 seconds up ramp rate. percent of base speed with 95% load change. 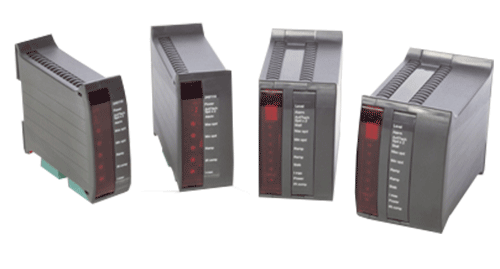 Isolated models have comprehensive system I/O. Linear outputs for Ramp, Demand, Speed and Current. Linear inputs for ramped I/P, Direct I/P, Torque I/P..
Logic outputs for overload and Trip. Uncommitted level comparator, and signal sign changer..